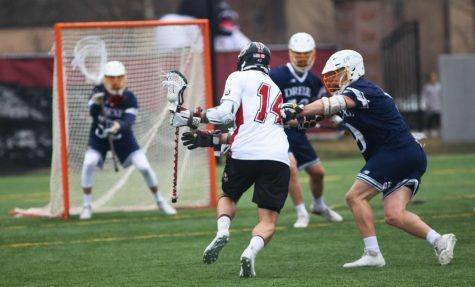 With Tuesday’s 18-5 win over Quinnipiac, the Massachusetts men’s lacrosse team put its 0-5 start to rest in convincing fashion. 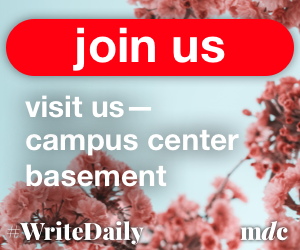 The Minutemen’s next challenge however is to construct their first winning streak of the season against Penn State on Saturday in what will be their third game in eight days. According to Cannella, Penn State (3-3) presents a balanced offense with little glaring weaknesses. TJ Sanders leads the Nittany Lions with 15 goals (21 points) while Matt Florence (14), Mike Sutton (11) and Nick Aponte also have all tallied double-digit points through six games. However, Cannella said Penn State’s defense presents possibly the biggest test, led by goalie Connor Darcey. Starting all six games in cage for the Nittany Lions, Darcey has allowed opponents to an average of under 10 goals a game while posting a .570 save percentage. 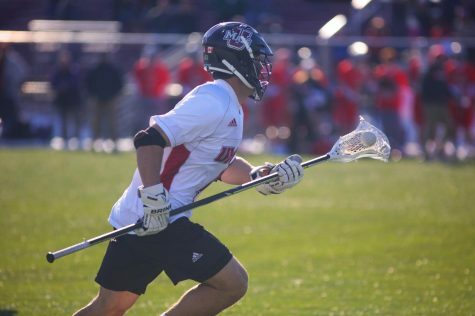 Senior Grant Whiteway said Tuesday’s win over the Bobcats served as a confidence boost for the Minutemen (1-5) after their early season struggles. He added that carrying their momentum into Saturday will be an important first step in starting a midseason run of success. 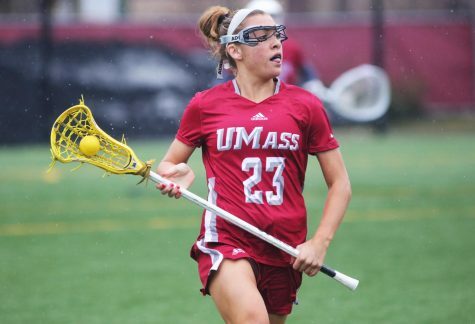 UMass scored a season-high 18 goals from 16 different point contributors Tuesday. This scoring depth is something that Whiteway said is continuing to improve on a weekly basis. 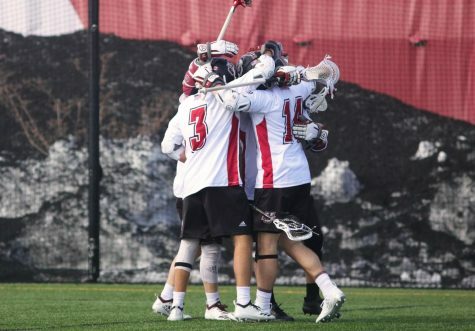 The Minutemen also allowed a season-low five goals on defense to mark their first time holding an opponent to single-digits since last season’s matchup against Towson on April 5, 2014. 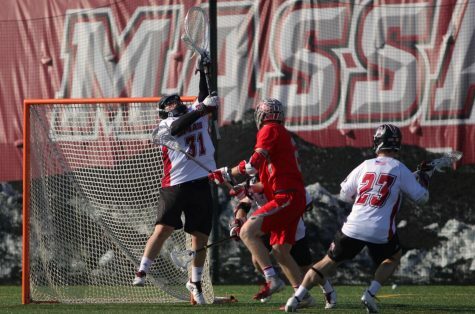 Junior goalie Zach Oliveri led the charge on defense for UMass, recording 10 saves and allowing four goals in 54 minutes of action. 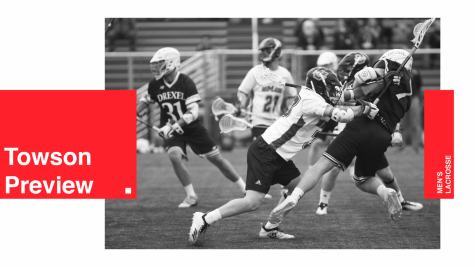 After being benched nine minutes into a loss against Brown on Feb. 28, in which he allowed four goals in the span, Oliveri has responded well. In the following matchup against Albany on March 7, Oliveri made 15 saves against a prolific Great Danes attack in a 10-9 defeat. Coupled with his performance in Tuesday’s win, Cannella said that he’s confident Oliveri can continue his success. “Hopefully that’s an upward trend as well and Zach can be consistent for us for the rest of the year,” Cannella said. Saturday’s game at McGuirk Stadium begins at noon. 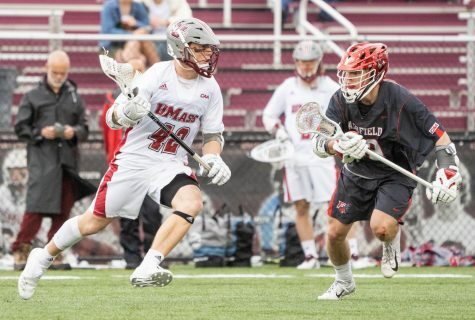 After missing UMass’ first three games of the season due to a lower body injury, Whiteway returned to the Minutemen’s attack with five goals in three games, including two in Tuesday’s win over Quinnipiac. But one goal stood out in particular. 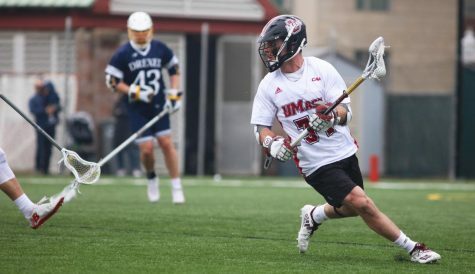 With UMass leading the Bobcats 6-2 with two minutes, seven seconds remaining in the second quarter, midfielder Andrew Sokol shot a ball that was deflected off Quinnipiac goalie Jack Brust. Unable to handle the shot cleanly, Brust laid out in an attempt to cover the ball as Whiteway charged in toward the cage. Whiteway then picked up the ball and, while falling toward the ground, converted on a behind-the-back shot into the open net. But Whiteway is no stranger to this type of shot. 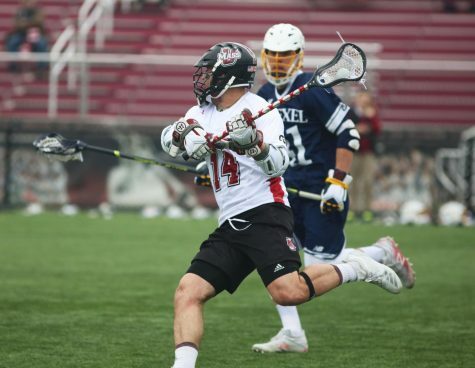 He recalled scoring a similar behind-the-back goal against Drexel last year in a 13-9 loss. 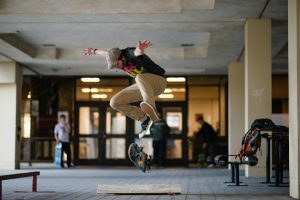 “I usually don’t try shooting like that but if I get a chance to, I’ll try to put it in,” Whiteway said.